Two men were arrested early Saturday for causing a disturbance at a Waffle House after they refused to comply with a security guard’s order to pull up their saggy pants, according to police. 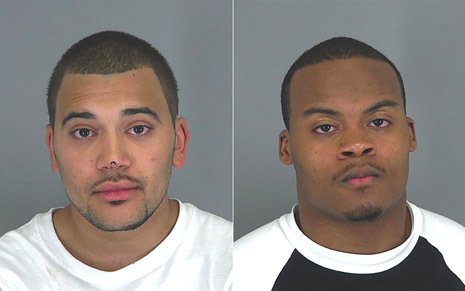 Seen in the above mug shots, Gehring (left) and Johnson were arrested for disorderly conduct and booked into the county jail. In 2011, Gehring was arrested for burglary and grand larceny, which resulted is his expulsion from Wofford (where he was a member of the football team). According to Wofford’s web site, Johnson has played for the last four years on the college’s football team.